This charger can charge AA/AAA Ni-Mh/Ni-Cd rechargeable batteries. Charges 2/4 AA/AAA sizes at a time. Plug in Charger with Indian Plug. 2. 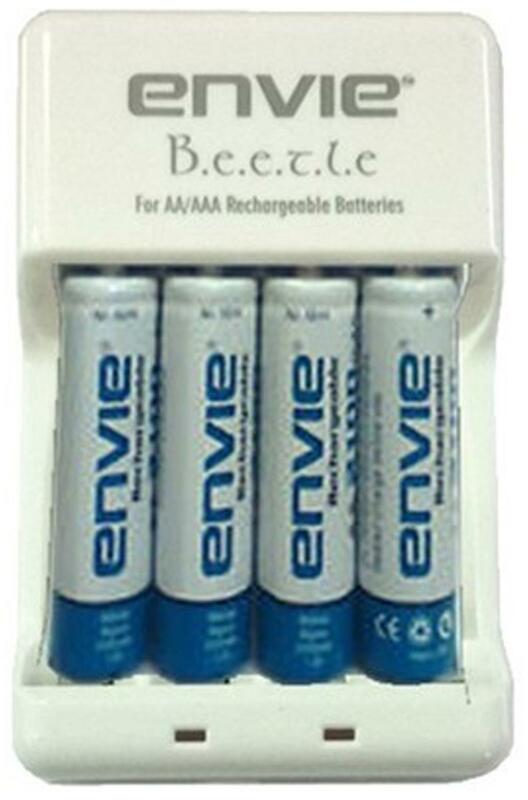 Envie 4XAA Ni-Cd 1000mAh Batteries Available in 1000mAh ideal for low drain applications. Offering high performance and greater run time. Ideal for Flash Light, Radio users etc. Rechargeable Batteries are cheaper than Alkaline Batteries because they can be used 1000 times.